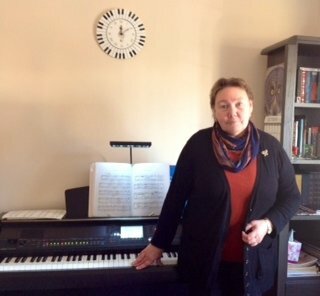 Irina offers a discount of 50% on their first / introductory lesson! I am a highly qualified Teacher of Music (MA Mus.) with more than 30 years of teaching experience with children and adults. I teach piano/keyboard, theory, history of music, singing and composition; any levels and ages (from 5 to 75) are welcome. Preparing for concert performance and ABRSM exams (grades 1-8), or learning Music just for self-achievement and family pleasure. I reside and teach in Burnham -on-Crouch, Essex. Never too late to learn Music! First Piano lesson is half price! they live locally to me and are ok with travelling to Burnham-on-Crouch. More than 30 years. First-in Russia, in Children's Music Schools and Music Colleges. Later (from 1995)-residing and teaching Music privately in England/Essex. Have more than 15 years of playing in local churches as an organist. I always have an individual and friendly approach to all my students as nobody is the same! using my own teaching techniques based on many years of teaching experience. Reply from: Irina: Thank you very much Chris for your positive feedback. It was my pleasure to tutor you.